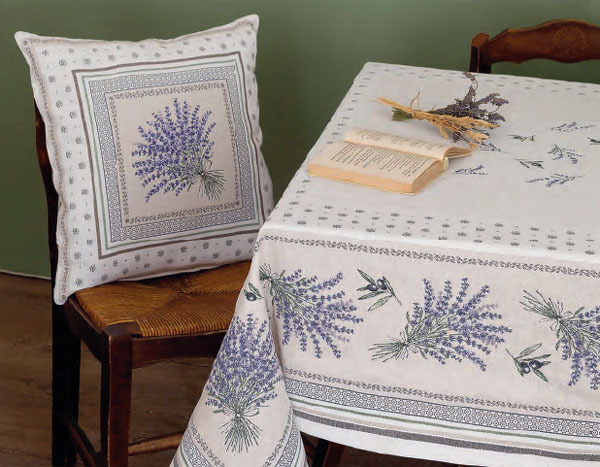 Bulgomme Table protector, sell by the piece, per unit 10cm Bulgomme Table protector :: undercloth :: Calitex - Euro2.80 : Provence Decoration, The Provence tablecloths and products online shop from Nice - France, worldwide delivery. We noted the weight of the products as a measure for shipping calculation. 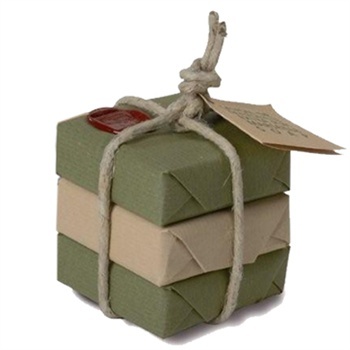 Gain on the postage by placing your order for a weight as close as possible to the nearest superior kilogram. Get instant shipping and possible taxes calculation by visiting our TOTAL FEE CALCULATOR (you will find it in the step 2 of 3 of your shopping cart). 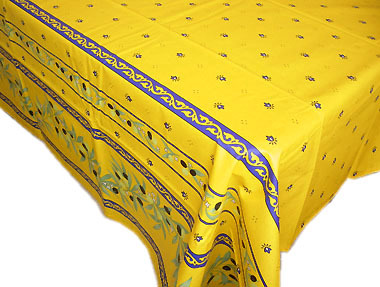 Water Repellent PVC and PVC foam materials combination makes this product a completely waterproof tablecloth. Easy to clean. Just put in the washing machine like most of tablecloths! Fast dry. Buffer to protect the table surface. Functional anti slipping property. 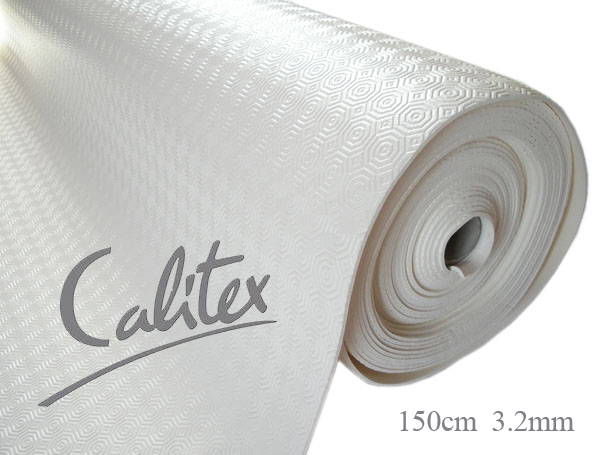 The most evolved undercloth!Compared to previous products, supple texture of the mat surface. 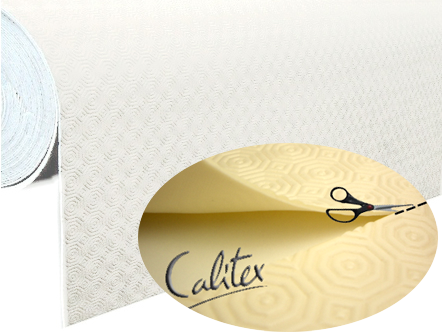 Anti-slip, shock-absorbing function (keep your table top intact), new waterproof. Heat resistance (up tof 100 degrees!) has been added. To protect from any damage your table. 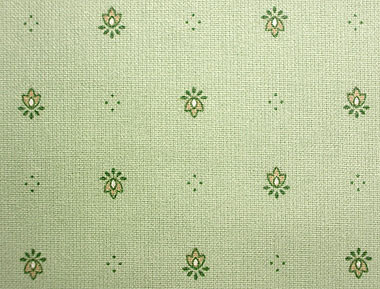 Especially recommended for glass or wooden tables. 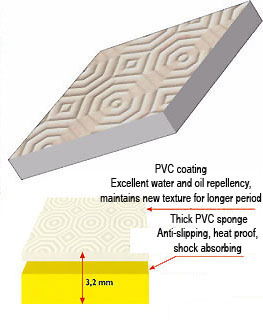 Two layers of Polyvinyl chloride (PVC) foam for cushioning. 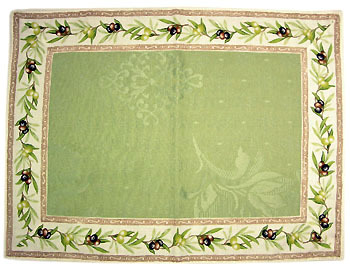 To lay between the table top and the tablecloth. 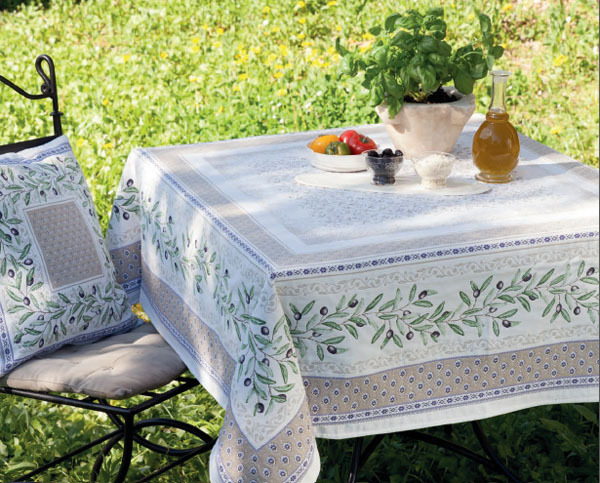 I had got a lot of customers asking " I'm looking for rubberized Provence Tablecloth, there is no manufacturer that produces the appropriate product". Then I stocked up the item. I am sure you will appriciate this table protection. By way of undercloths you usualy find so many things but thin sheets! Here is a high standard product. 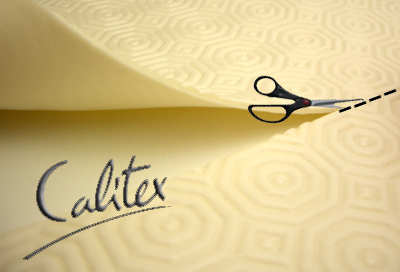 This "Made in France" undercloth is used in french families from decades. It can be cut to fit your table size. Washing mashine washable.